Here’s how one can easily convert the Photoshop PSD file in flash (FTML) format. Its been easy now with the help of psd2ftml jsx script to convert .psd files to flash. 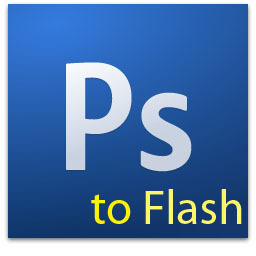 Visit http://reshapemedia.com/ftml/learn/photoshop-to-ftml/ to find more info about this tool to make flash out from psd files.